Battling to escape from the basement of the Race to Dubai standings and get his career back on track, the 42-year old Kells man may look back at his six under effort as the score that turned his season around. 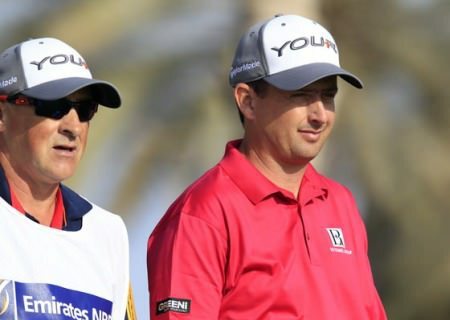 Struggling at 124th in the Race to Dubai standings and therefore outside the top 110 who will keep their cards at the end of the season, the 2008 Volvo China Open winner had just 23 putts in a seven-birdie effort at Binhai Lake in Tianjin, leaping 49 places up the leaderboard to joint ninth. 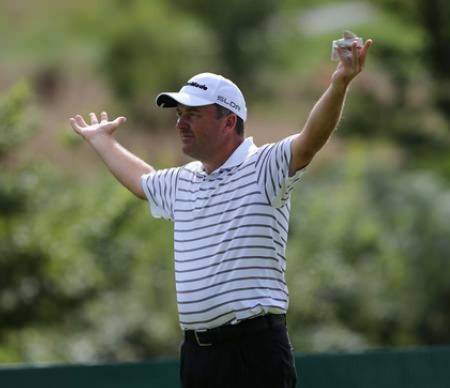 Seven shots behind leader Mikko Ilonen, whose 63 equalled the course record and the lowest round of his European Tour career to take a three stroke lead, McGrane is hoping his luck is about to change. The Meath man birdied the first, second fifth, ninth, 11th, 12th and 13th before dropping a shot at the 17th and missing a good birdie chance at the last to finish on five under par. 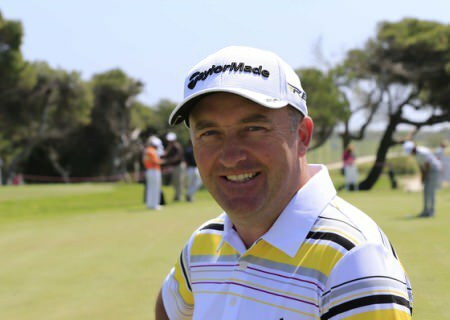 McGrane has now made six of 12 cuts this year but he will be keen to make hay and make a big cheque this week before the tour returns to Europe for a string of big money events. The rest of the Irish have similar worries with Michael Hoey, 115th in the money list, set to fall further after two closing bogeys in a rollercoaster 74 saw him miss the cut by two strokes. Maybin, who is 104th in the money list, simply didn’t hole enough putts and while he fired a second round 71 his opening 76 was too much of a handicap as he missed out by three strokes. 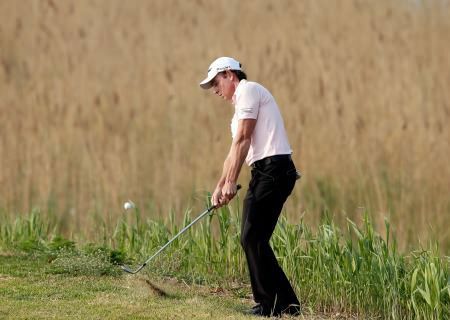 Peter Lawrie also had a poor week on the greens, making just three birdies in rounds of 75 and 74 that left him five shots outside the cut mark. European Ryder Cup skipper Paul McGinley missed just four fairways in two rounds but had 64 putts, including 34 in a second round 75 for a seven over par total. Mikko Ilonen has a three strroke lead in the Volvo China Open. 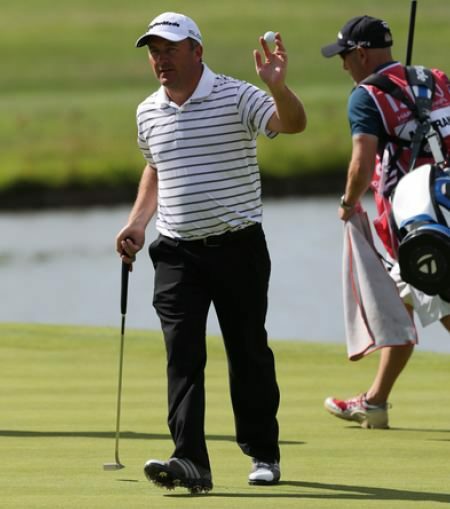 Credit: Getty ImagesAs for 1999 West of Ireland winner Ilonen, the 33-year old Finn had nine birdies to race three shots clear of last week’s Ballantine’s Championship winner Brett Rumford (67) of Australia and ecently crowned Malaysian Open winner Kiradech Aphibarnrat (67) of Thailand. Overnight leader Robert-Jan Derksen was unable to repeat the pyrotechnics of his opening round, but at eight under par the Dutchman is still very much in the hunt. Further down the leaderboard, Dou Ze-cheng became the youngest player to make the cut in the history of the Volvo China Open as a level par round of 72 enabled the 16 year old to secure a safe passage through to the weekend two under par. Aged just 16 years and 101 days, Dou becomes the seventh youngest player in European Tour history to survive the cut – a record recently broken by compatriot Guan Tian-lang at the Masters Tournament. “I felt good when I started, but I struggled a bit on the back nine,” said Dou, who plans to travel to America and attempt to qualify for the US Open Championship after this event. Another of China’s young guns, Ye Wo-cheng, signed off with a second consecutive 79 as the 12 year old – the youngest player to feature on The European Tour – missed the cut on 14 over par. “I played very well on the front nine, so I was very happy at the beginning,” said Ye. “I was a bit less nervous today, which is why I played well at the start. But then on the back nine I struggled a little bit, which was a bit disappointing. Overall I’m still pretty happy with how I played. Ye’s coach David Watson was nonetheless delighted with his protégée’s performance. “He’s surpassed all my expectations, especially from a mental perspective,” he said. “There are so many positives to take from the week. I’m sure there will be some negative press from people saying he shouldn’t be in the tournament at 12, and they’ll point to his scores of 79-79 as evidence to back it up. But I’m sure when we look back on this in four or five years’ time, the experience will have benefitted him enormously. “Obviously there were a couple of times out there when he maybe showed his naivety and inexperience, but overall he did great.